However last time I was here I was buying them at the airport and the price was...well.. how to say? Not a nice price, let it put this way. So, I was wondering if there is any shop downtown where I can buy them at a good price. Any hint? Mozartkugel (Mozart rounds) are very popular for tourists - you can buy them almost everywhere - but unfortunately they are not cheap. On the official page you can find a link to an online shop and I don’t think the prices will be much lower than that at the airport or in downtown Vienna. A box of 18 pieces costs around €8; that was also the price I paid in Salzburg two months ago. And by the way, Mozartkugel is more typical for Salzburg than for Vienna. I bought the 343 gr. 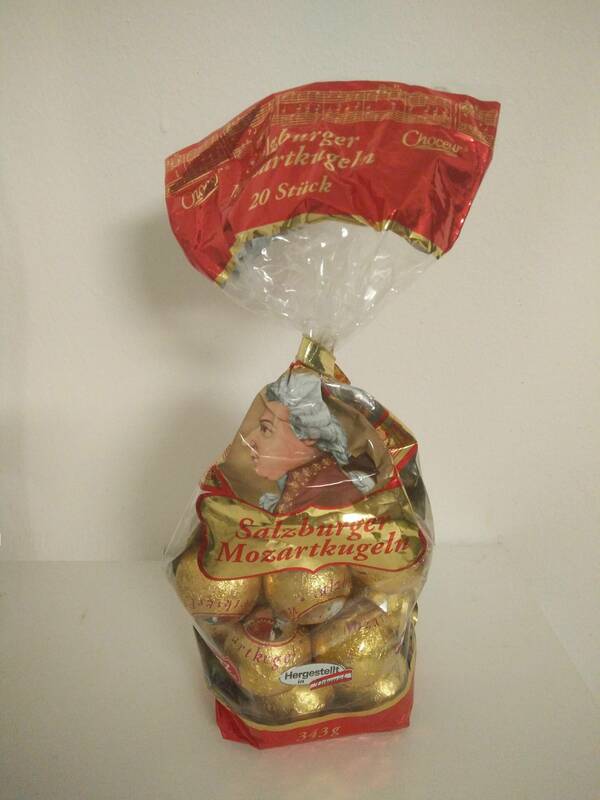 Mozartkugeln pack with 20 balls at Hofer (Austrian ALDI) in Vienna for €3.88! I think it's the best price you can get, and they are really delicious. Not the answer you're looking for? Browse other questions tagged food-and-drink austria vienna souvenirs or ask your own question.